The Canton Charge, the NBA G League franchise exclusively owned and operated by the Cleveland Cavaliers, have announced the full slate of giveaways, theme nights and promotions for the 2017-18 season. Single game tickets for all 24 home contests, including the December 28th game at Quicken Loans Arena presented by Visit Canton, are on sale NOW by calling the Charge Front Office at 866-444-1944 or by visiting CantonCharge.com! Charge Fleece Blanket courtesy of Ohio Lottery – On Saturday, February 3rd fans 18 & over will receive a throw decked out with our alternate “C sword” logo to stay toasty on those cold Northeast Ohio nights! Center for our game on Sunday, March 11th will be lucky enough to take one home. Throwback Cavs T-Shirt – We’ll be taking it back to the 80s on Friday, December 15th with Throwback Cavs Night presented by The Salvation Army. 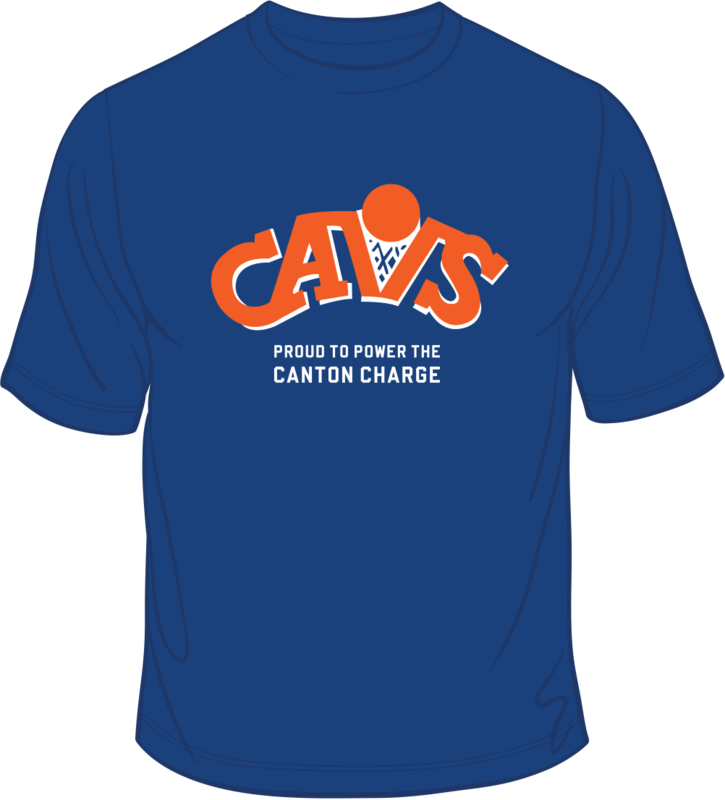 The first 2,500 fans will receive a royal blue tee emblazoned with the wildly popular orange retro Cavs net logo. Cavs/Charge Scarf courtesy of Visit Canton – Come to the game at Quicken Loans Arena on Thursday,December 28th and leave in style! 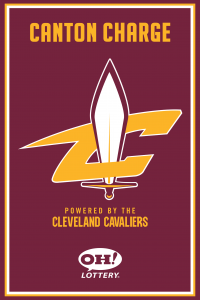 We’ll be marking our first-ever visit to The Q with a Cavs/Charge dual scarf that’s equal parts fandom and fashion! 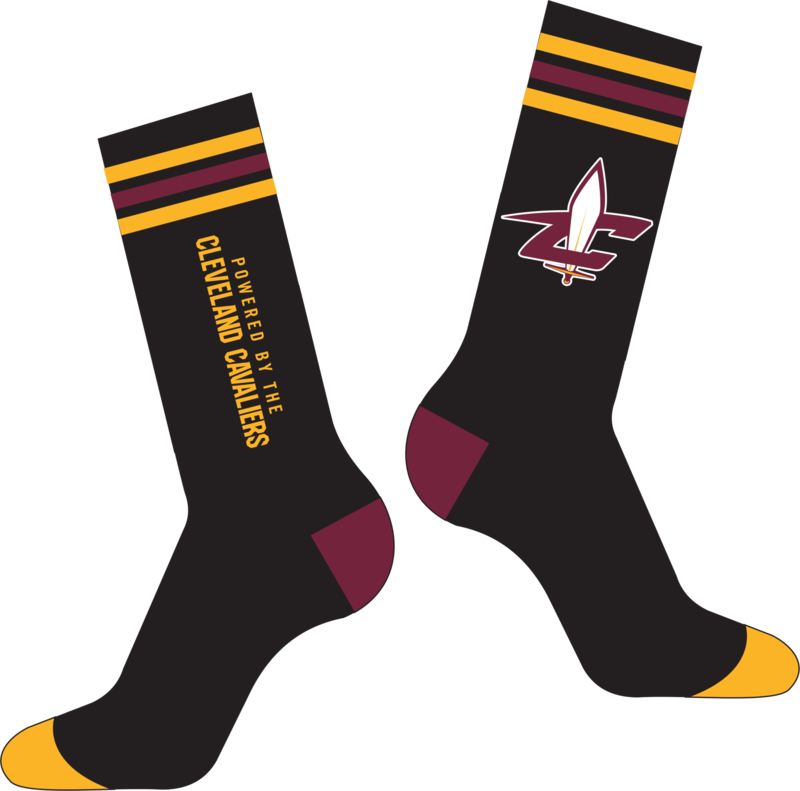 Charge Socks – Back for the third consecutive season, keep your accessory game up with all-new black Charge socks with wine & gold accents. The first 2,500 fans at the Saturday, January 27th game will get hooked up with this year’s rendition featuring the “C sword” alternate logo. Other giveaways include a Magnet Schedule giveaway courtesy of State Farm for the Home Opener presented by The Canton Repository on Wednesday, November 15th, a Charge Youth Football on Saturday, November 25th, a Cavs Winter Hat for the first 2,500 fans at the Saturday, January 20th game, a Charge T-Shirt courtesy of Terminix on Friday, February 23rd, a Charge Military Cap courtesy of The Canton Repository on Saturday, March 3rd and a Cavs Travel Pillow courtesy of State Farm at the regular season home finale on Saturday, March 17th. Theme nights this season include Youth Football Night (Saturday, November 25th) and Youth Basketball Night (Saturday, January 27th) for the youngsters, Family Day with the return of Mascot Mania (Sunday, March 11th), R.A.K.E. Night with Random Acts of Kindness Everywhere being spread throughout the Civic Center (December 22nd), School Day presented by McDonald’s (Wednesday, January 17th @ 11:00 a.m.) for some outside of the classroom learning/hoops and Military Appreciation Night presented by The Canton Repository (Saturday, March 3rd) honoring all of our veterans who have sacrificed to serve our great country. For 2017-18 Charge Nation Memberships, group outings, game day promotions and up-to-date information, head to CantonCharge.com or call 866-444-1944. The Canton Charge are part of the Cleveland Cavaliers and Quicken Loans Arena organization and are also owned by a group led by Cavaliers Chairman Dan Gilbert. The group also owns and operates the Cleveland Gladiators of the Arena Football League and the Cleveland Monsters of the American Hockey League, both of which play their games at Quicken Loans Arena in downtown Cleveland. Fans can stay up-to-date on team news by following the team at: @CantonCharge on Twitter at www.twitter.com/CantonCharge and on Facebook at www.facebook.com/CantonCharge. Fans can sign up for mobile text alerts by texting CHARGE to 720720 (message & data rates apply).